Hi, can you confirm please that the non genuine inks that you supply for the above printer return the same quality images as the canon genuine ink cartridges ?? and if so how much for all 10 ?? 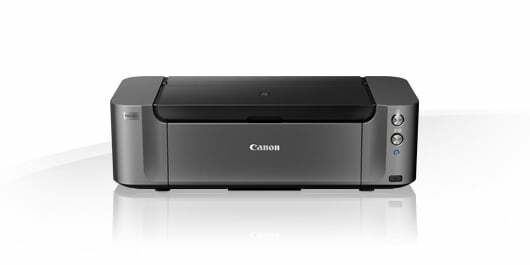 The Canon Pixma Pro-10S is a professional inkjet printer offering high printing resolution. It has 7,680 nozzles and uses 4pl ink droplets for fine details on printouts. With a 10-ink cartridge system, this printer can help in lowering running costs - only the cartridges that run out need to be replaced. The Canon Pixma Pro-10S has versatile media handling but it cannot be expanded. This modern printer comes in black and silver. For media-handling, a rear paper tray is available along with a disc tray and a manual feed slot. The output tray in the front can be closed off with a lid when not in use. An indicator light and function buttons also come standard. For connectivity, PictBridge, USB, and Ethernet ports are provided. The Canon Pixma Pro-10S boasts excellent features, including a high print resolution of 4800 x 2400 dpi. It can handle a wide range of media, including super high gloss, matte, fine art paper, and even discs. With standard Wi-Fi connectivity, the Canon Pixma Pro-10S can support mobile printing and offer cloud links. The print speed of the unit is quite decent at approximately 5 minutes for A3+ and approximately 3 minutes for A4. The Canon Pixma Pro-10S has a paper tray that can handle 150 plain sheets at a time or 20 photo paper. Optional paper trays are not available.